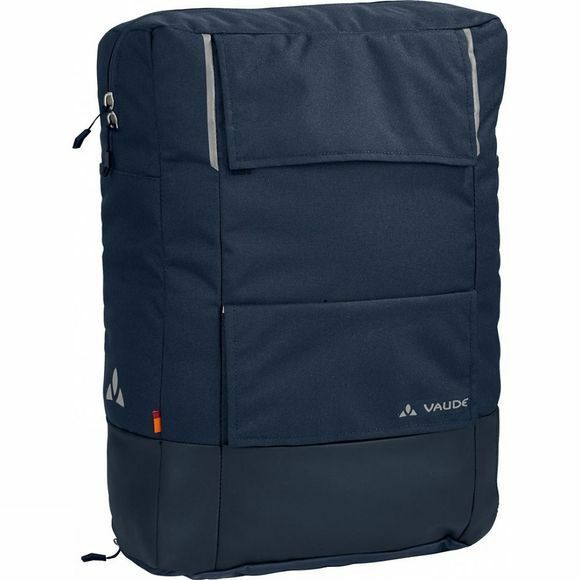 The Cyclist Pack from Vaude is ideal for the urban cyclist and daily commuter. The shoulder bag features a padded compartment that fits a laptop (max. 15.6") and numerous organiser pockets for documents and other essentials. Made from a durable material in a textile look and certified in accordance with the strict bluesign® standard, the bag features a tarpaulin bottom that prevents dirt from getting into the bag. 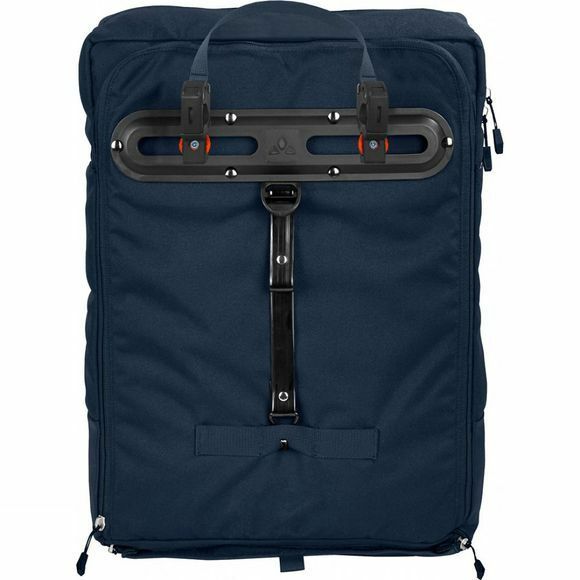 A padded suspension system ensures superior carrying comfort. The bag also features low key reflective prints, carrying handle, raincover and a removable shoulder strap. Green Shape is your VAUDE guarantee for eco-friendly products – made from sustainable materials and resource-conserving production, this bag truly is the ultimate commuters companion.